I sprang from the trailer to see what was the matter. I knew in a moment it must be St. Senna. Through the start it did roared, then past the first turn there afar! Out of site he went fast, all that was left was the sound of his car. With the car full of power, and St. Senna there too. The prancing and pawing of his mighty sled. From the last corner St. Senna came with a bound. And hopped out the car and to the podium top. That aimed right at me as I stared there in awe. 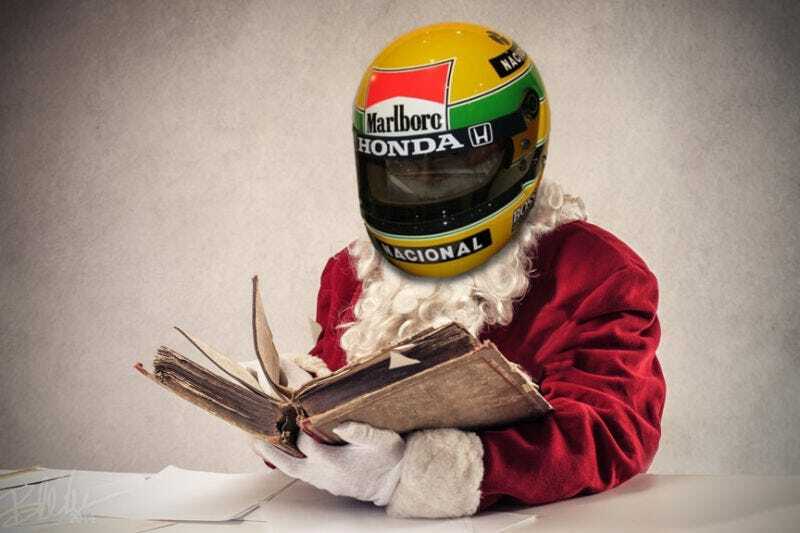 HAPPY SENNAMAS TO ALL, AND TO ALL A GOOD-NIGHT!